"We thought we need to share this information we gained from going to the parks and compile a resource that would be good for parents," says Abby McAllister, pictured with her husband Harley and four of their kids at Glacier National Park. Every parent knows that traveling with kids can turn a seemingly idyllic vacation into a serious challenge. Harley and Abby McAllister would like to change that. They're travel writers based out of Spokane Valley, and their goal is to turn their family adventures into learning experiences for other parents. 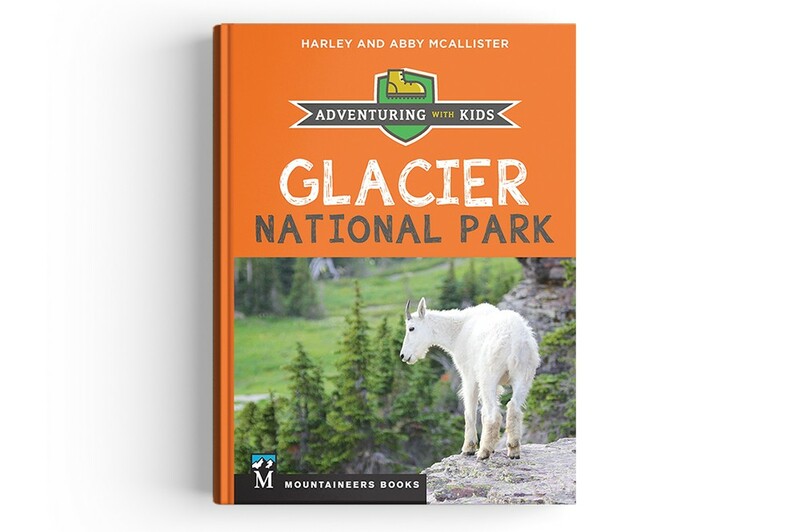 Over the last couple years, they've released three national parks travel guides through the Seattle-based Mountaineers Books — most recently a family guide to Montana's Glacier National Park. "One of the things we try to do in all our books is break the big parks up into regions," Harley McAllister says, "then list the attractions and lodging options in that region, so you don't spend all the time in the car driving from one location to the next. We want people to get out and enjoy nature, not enjoy looking out the window." The McAllisters met in Colorado, where Abby was raised, working on a dude ranch after college. They married there and moved to the Inland Northwest in 1999. They were outdoor kids themselves: Abby recalls childhood vacations in the mountains of Colorado — "We're a churchgoing family, but a lot of times our church was the mountains," she says — while Harley, who's originally from California, remembers spending summers and winters at a family cabin on Lake Tahoe. But it was when they were working as missionaries and teachers in the Dominican Republic in 2010 that they started documenting their adventures with their kids. "A lot of people go [to the Dominican Republic], but there's not a lot of good writing about what to do there," Abby says. The McAllisters then started a website called Our4Outdoors, sharing stories and photos of their adventures. 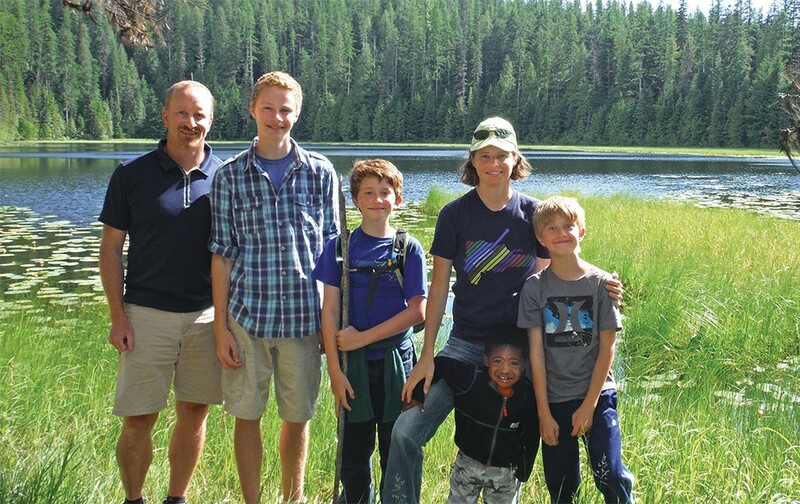 By the time they had returned to the States, they wanted to take their kids to American national parks, but Abby says she soon discovered that the online resources she consulted left out significant tips for parents. "We took our kids on a bunch of trips, and as I was researching, I realized there's hardly any [travel writing] from the viewpoint of kids and what they would enjoy," Abby says. "In light of what we were doing on our website about sharing our adventures with people, we thought we need to share this information we gained from going to the parks and compile a resource that would be good for parents." When they're not traveling, Harley is an engineering project manager, while Abby homeschools five of their eight kids (they recently adopted four siblings from Colombia). Of their Mountaineers Books releases, the McAllisters have also covered Utah's national parks and Yellowstone; a book on Yosemite is set to be published in April. Their guides tend to focus on a number of factors that people don't typically consider when they travel — how long it can take to drive to a specific landmark, for example, or how to find a convenient place to stay for a night. The McAllisters' biggest tip for parents thinking about traveling with their children: Keep your kids' attention spans and endurance levels in mind at all times, and have plenty of snacks available when you're on foot. It sounds like an obvious piece of advice, but a surprising number of people don't heed it. "If you don't plan well, and you're just pushing them to go somewhere they don't want to go, they are going to be grouchy and crabby," Abby says. "Kids have shorter attention spans, and they have different objectives than we do," Harley says. "I'll hike for miles and miles if I can get some amazing view at the end. ... But kids aren't about big views. They really want to engage with their surroundings in a more hands-on way. "We need to be thinking about what there is along the trail that's interesting to them. What is there that's going to be interesting to them on a more small-scale, up-close-and-personal level?" What are the highlights of being outdoors with kids? "When you take kids outdoors and let them be challenged, it instills a lot of confidence in them," Harley says. "I've got a kid who's had a few scratched knees but understands appropriate risk taking. ... It makes them more grounded and gives them self-confidence." Abby points out that her son, a high school senior, is planning a road trip with his friends to visit numerous national parks. "He wants to share that with everyone else," she says. "He wants to protect the parks, and he's interested in the politics of public lands because he's experienced these places and feels an ownership of them." Do they have a place they've never visited that's on their bucket list? "There's a backpacking trip along the Olympic Coast," Abby says. "I love the ocean, I wanted to be a marine biologist, and I love the idea of a backpacking trip that's flat. It's a three-day trip and depends on how many kids we have that can carry their own gear." "I'm excited about the idea of taking a multi-day backpacking trip all the way across Yellowstone," Harley says. "I get excited about taking [my sons] on something that's a little more strenuous, a little more challenging, and see some remote areas that few visitors are able to get to." The original print version of this article was headlined "The Traveling Kind"